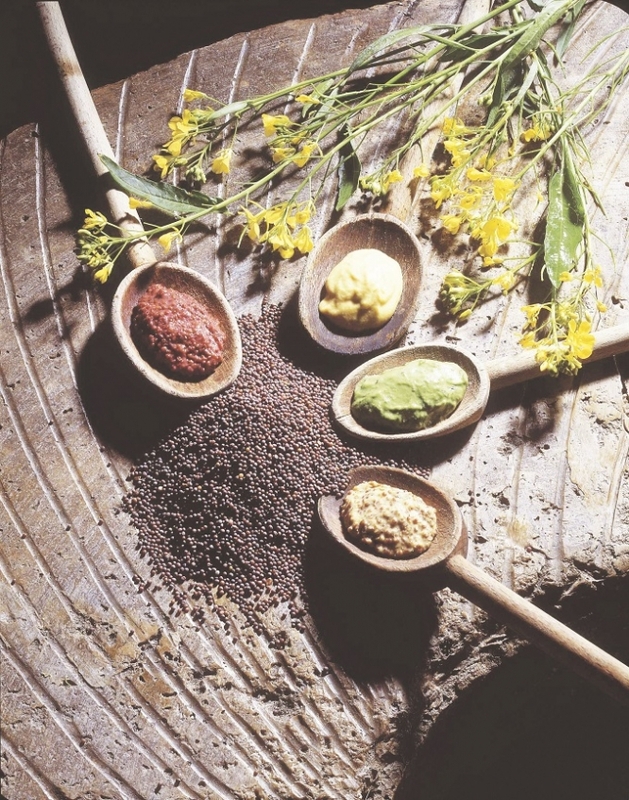 France produces the most mustard in Europe and 80% comes from the Côte-d’Or in Bourgogne-Franche-Comté. However, people may be surprised to learn that France grows very little of the mustard plant which produces the seeds which are turned into this popular condiment. Up until recently, the vast majority was imported, mostly from Canada and eastern Europe and it is only since 2000 that farmers have begun to grow it again – last year, 30% was home produced. Before the Second World War all mustard was grown locally and it has always been a very important part of Burgundy’s gastronomy. It was introduced into France under the Roman Empire and was appreciated for its medicinal qualities – it has long been known for its antiseptic, anti-inflammatory and digestive properties. Queen Victoria famously used mustard seeds in her bath to improve circulation.